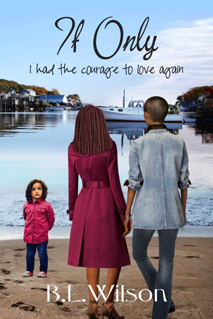 In IF ONLY, I had the courage to love again, Beth Evans, after a failed relationship, is looking for a date. She tries a forward approach with a woman she finds attractive and practically accosts her on the street. Beth babbles about nothing and everything in her efforts to impress the woman, while the object of her desire, Joan Riley, wants to escape from the crazy motor-mouth. Beth feels embarrassed that she bothered Joan and does not even join her friends in the bar they are hanging out at for the evening. She stays in the car and encounters Joan yet again, and again, the chance meeting does not go well. IF ONLY, is available for pre-order now on Kindle. The release date is 11/2/16. Thanks for reading this. Remember to VOTE ON TUESDAY 11/8/16!! !